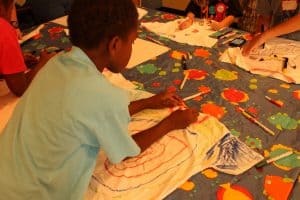 Kid SupportTM- A day-long offering designed to provide education, creative expression, relaxation techniques, healthy communication and socialization for children who have a diagnosis of cancer or who have a loved one living with cancer. Grief Relief - A special group designated for children who have lost a loved one to cancer, this group focuses on helping children remember and celebrate family members, as well as providing them with tools to understand and process difficult emotions as they move forward. Family Fun Nights - These nights are devoted to helping families having fun together. Creative Kids - These creative arts workshops encourage self-expression, while promoting socialization and providing an outlet for fun. 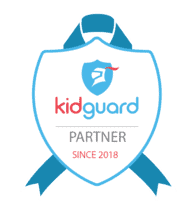 Kid Connect - These gatherings are held monthly and give children an opportunity to play, socialize and engage in special activities with other children who are impacted by cancer. 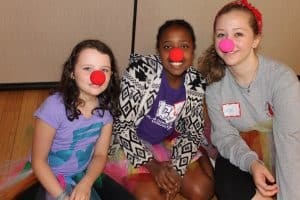 Traditionally offered as a day camp during the winter and summer breaks from school, Noogie Wonderland features fun themes, specialized workshops and lots of laughter for children who have a loved one living with cancer, have a diagnosis of cancer themselves, or are grieving the loss of a loved one. There is no fee for Noogie Wonderland and snacks are provided, but registration is required. Children ages 5-12 are invited to attend, and teens may be able to serve as Noogie Wonderland volunteers. 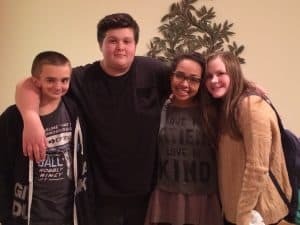 Teen Time - Teen Time brings teens together monthly to socialize with other teens who know what it is like to have cancer or to have cancer in the family. Been There Done That - This group meets twice a month and is specifically for teens who have or have had cancer. It provides an opportunity for them to socialize and explore what it's like to navigate the changes and challenges that come with a diagnosis and treatment. Grief Relief - This group is designated for teens who have lost a loved one to cancer and focuses on helping them remember and celebrate family members who've been lost. Grief Relief also provides teens with tools to understand and process difficult emotions as they move forward. For more information about Gilda's Club's programming for children and families, email Megan Ingram Forshey, Program Manager, or call 615.329.1124.